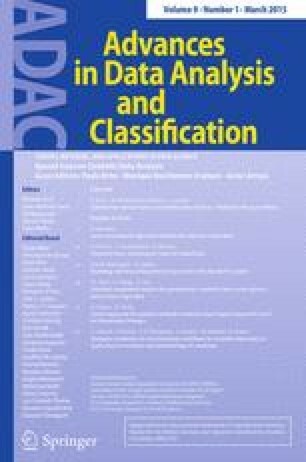 In this paper, following a partitioning around medoids approach, a fuzzy clustering model for interval-valued data, i.e., FCMd-ID, is introduced. Successively, for avoiding the disruptive effects of possible outlier interval-valued data in the clustering process, a robust fuzzy clustering model with a trimming rule, called Trimmed Fuzzy \(C\)-medoids for interval-valued data (TrFCMd-ID), is proposed. In order to show the good performances of the robust clustering model, a simulation study and two applications are provided. The authors thank the editors and the three referees for their useful comments and suggestions which helped to improve the quality and presentation of this manuscript.